Puma Punku is part of a large ancient structure that forms part of the Tiwanaku site in Western Bolivia, believed to date back to around 536 AD. It is a truly incredible feat of engineering. Some blocks of stone are more than 7 metres long, weighing more than 130 tonnes. Some are made of a type of red sandstone, which would have had to have been transported up a steep incline to reach the site, whilst other blocks, including the famous H-blocks, are made of the volcanic rock Andesite. 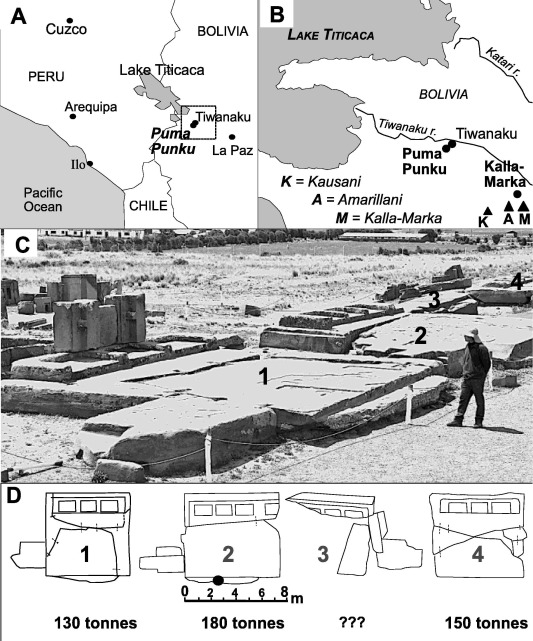 But a new study from Joseph Davidovits, Luis Huaman and Ralph Davidovits, called Ancient organo-mineral geopolymer in South-American Monuments: Organic matter in andesite stone. 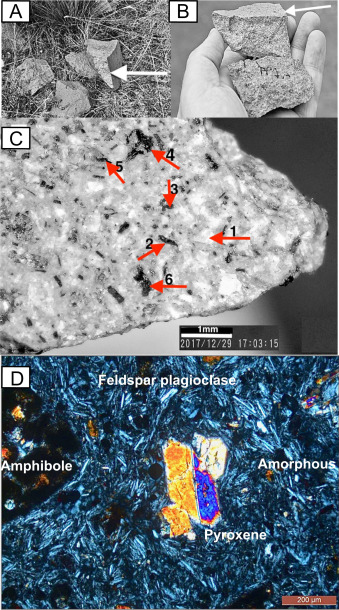 SEM and petrographic Evidence, shows that far from being incredibly carved rocks, what we are looking at are two forms of ancient geopolymer concrete. The andesite rocks contain organic matter, which is unheard of for a volcanic rock and therefore indicate it is made by artificial means. It may also mean that soon, the researchers may be able to Carbon-14 date the rocks of Puma Punku and we can finally have a good indication of just how old this famous site really is. All images are taken from Google Images for educational purposes only. Some images also come from the paper below. At the Geopolymer Camp 2018, in the Session: Ancient Technologies, Prof. J. Davidovits presented the first results of the joint research program conducted by the Geopolymer Institute and Universidad Catolica San Pablo, Arequipa, Peru, on Tiahuanaco / Pumapunku megalithic monuments (Tiwanaku), Bolivia (Lake Titicaca). See a brief summary of the lecture in Davidovits’ Keynote “State of the R&D 2018”, last 7 minutes of the video at GPCAMP-2018. 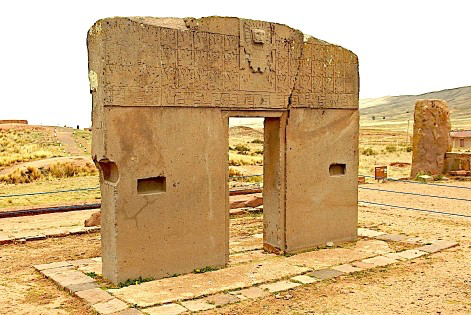 Tiwanaku Gate of the Sun and Pumapunku megalithic geopolymer sandstone slabs. The platform on top of the 4 step pyramid of Pumapunku consists of 4 megalithic red sandstone slabs, weighing between 130 and 180 tonnes each, the largest among the New World monuments. Our study suggests that the slabs are a type of sandstone geopolymer concrete cast on the spot. It was recently published in Materials Letters 235 (2019) 120-124, Online on 8 October 2018, <https://doi.org/10.1016/j.matlet.2018.10.033> access with the following link: Materials Letters. SEM/EDS of ferro-sialate geopolymer sandstone matrix. 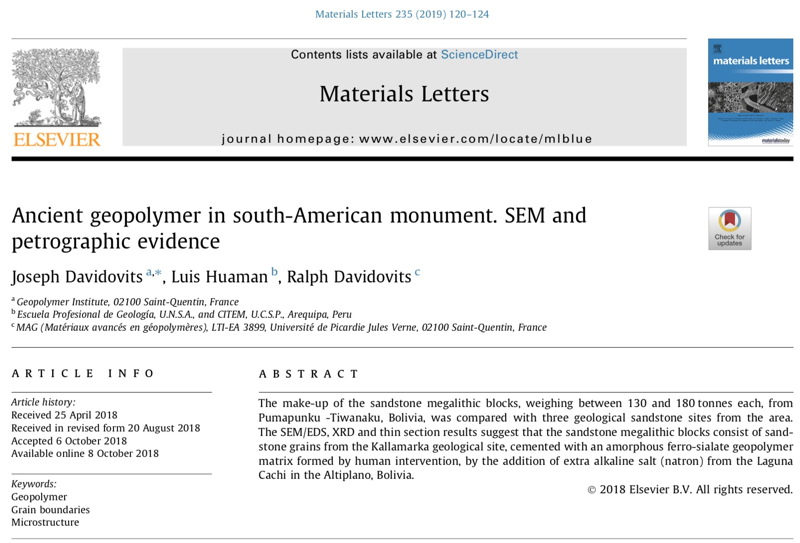 Materials Letters (235) (2019), 120-124, Fig.3 C-D.
A second scientific paper dealing with the spectacular stone artifacts made of andesite geopolymer stone (H sculptures and the like) has been recently published in Ceramics International (on line January 3, 2019), with the title: “Ancient organo-mineral geopolymer in South- American Monuments: organic matter in andesite stone. SEM and petrographic evidence”. 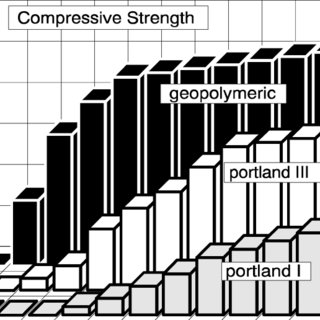 (Davidovits, J. et al., Ceramics International, https://doi.org/10.1016/j.ceramint.2019.01.024). 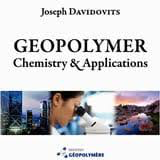 Free access and download of the published paper is available until April 10, 2019 with the following link: Ceramics International. Organic matter pointing on man-made stone and C-14 dating. The presence of organic matter points to man-made stone. In addition it should allow C-14 dating of the geopolymer stone and consequently of the monument. On going research. 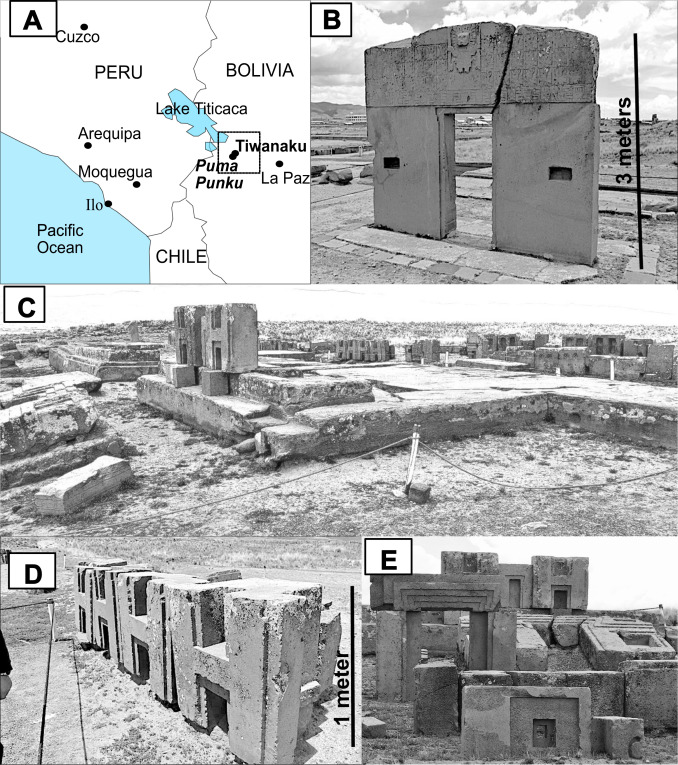 Pumapunku “H” sculptures with organo-mineral geopolymer matrix. 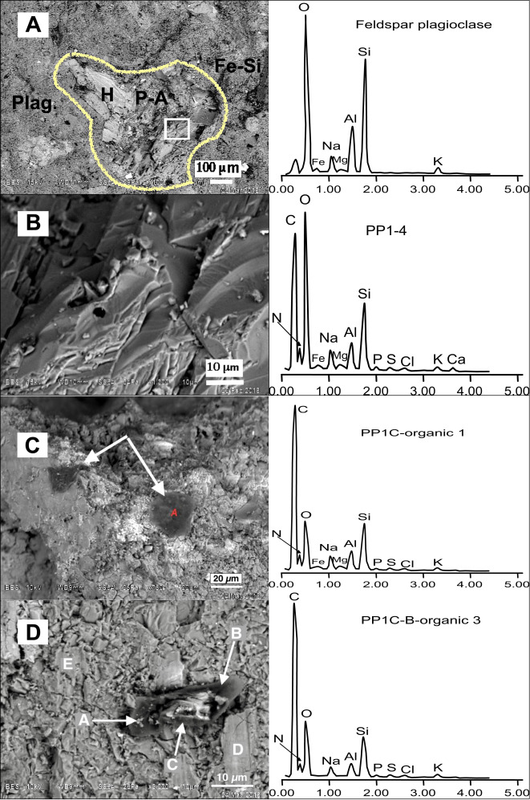 SEM image of organic matter in volcanic andesite stone, Ceramics International 45 (2019) 7385-7389, Fig. 3B. This study is linked to our research carried out 36 years ago (in the 1980s) titled “Making Cements with plant extracts” and available for free download in our Library, Archaeological paper #C at library/archaeological-papers. Tiahuanaco, on Lake Titicaca in Bolivia, is a village known throughout the world for its mysterious Gate of the Sun, ruins of temples and its pyramid. Archaeologists consider that this site was built well before the Incas, around 600 to AD 700. The site of Pumapunku is right next door with the ruins of an enigmatic pyramidal temple built at the same time. Because it is not restored and developed for touristic activity, it is less known to the general public. However, there are two architectural curiosities there: four giant red sandstone terraces weighing between 130 and 180 tons and small blocks of andesite, an extremely hard volcanic stone, whose complex shapes and millimetric precision are incompatible with the technology of the time. And for good reason, since archeology tells us that the Tiwanakans had only stone tools and no metal hard enough to carve the rock. But they would have carved the gigantic blocks of red sandstone (these ancient blocks are the largest of all the American continent!) and were able to carry these hundreds of tons on the site, then to adjust them precisely. Also, they would have been able to carve other smaller blocks made of volcanic andesite, an impossible-to-carve stone with an incredible finish! Archaeologists cannot give any rational explanations on how this was possible. Therefore, for the general public, the assumptions generally advanced to explain these wonders are the achievement by a lost ancient super civilization or by aliens’ involvement. In November 2017, scientists gathered samples taken in the red sandstone and andesite from the Pumapunku site. For the first time, these stones were analyzed under the electron microscope, this had never been done before! They discovered the artificial nature of the stones. They compared the monuments’ stones with the local geological resources and found many differences. Andesite rock is a volcanic stone from magma. It is composed mainly of silica in the form of plagioclase feldspar, amphibole and pyroxene. But the scientists have discovered the presence of an organic matter based on carbon. “Carbon-based organic matter does not exist in a volcanic rock formed at high temperatures because they are vaporized. It is impossible to find it in andesite rock. And because we found organic matter inside the volcanic andesitic stone, scientists will have the opportunity to carry out a Carbon-14 dating analysis and provide the exact age of the monuments”, according to Luis Huaman, geologist at Universidad Catolica San Pablo, Arequipa, Peru. This organic element is a geopolymer based on carboxylic acids which was therefore added by human intervention into andesite sand to form a kind of cement. The giant blocks of red sandstone raise another problem. Sandstone is a sedimentary rock composed of quartz grains and a clay binder. There are several possible geological sources but none correspond to the stones of the archaeological monuments. No known quarry is able to provide massive blocks of 10 meters long. In addition, the local stone is friable and small in size. Scientists have discovered under the electron microscope that the red sandstone of Pumapunku cannot come from the region because it contains elements, such as sodium carbonate, not found in the local geology. Therefore, where does the stone come from? From hundreds to thousands of kilometers? With what means have they been transported? In fact, electron microscopic analysis proves that the composition of the sandstone could be artificial (a ferro-sialate geopolymer) and manufactured to form cement. What is this technology mastered by the Tiwanakans? “Artificial stones were formed as a cement. But, it is not a modern cement, it is a natural geological cement obtained by geosynthesis” says Ralph Davidovits, researcher at the Geopolymer Institute. For this, they took naturally friable and eroded rock like red sandstone from the nearby mountain, on the one hand, and on the other hand, unconsolidated volcanic tuff from the nearby Cerro Kapia volcano in Peru to form andesite. They created cement either from clay (the same red clay that Tiwuanakans used for pottery) and sodium carbonate salts from Laguna Cachi in the Altiplano Desert to the south, to form red sandstone. For gray andesite, they invented an organo-mineral binder based on natural organic acids extracted from local plants and other natural reagents. This cement was then poured into molds and hardened for a few months. Without a thorough knowledge of geopolymer chemistry, which studies the formation of these rocks by geosynthesis, it is difficult to recognize the artificial nature of the stones. “This chemistry is not a difficult science to master. It is an extension of the knowledge of Tiwanakans in ceramics, mineral binders, pigments and above all an excellent knowledge of their environment,” says Joseph Davidovits. Without the selection of good raw materials, these extraordinary monuments could not have been created 1400 years ago. Finally, this scientific discovery confirms local legends that say, “The stones were made with plant extracts able to soften the stone.” This explanation has always been rejected by archaeologists because it made no sense. The evidence provided by the team of scientists from France and Peru shows that the oral tradition was right: they made soft stones that could harden! The hypothesis of the lost ancient super civilization or aliens intervention is false. Tiwanakuans were intelligent human beings. They knew their environment perfectly and knew how to exploit the resources brought by nature. In addition to the Carbon-14 dating analysis, further studies will soon be carried out to determine whether certain monuments in the Cuzco region of Peru have been built with the same scientific knowledge.